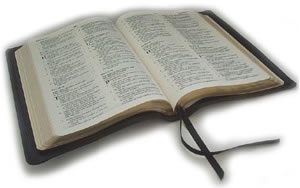 The Bible is the inspired Word of God and is the record of God's revelation of Himself to man. It has God for its author, salvation for its end, and truth, without any mixture of error, for its matter. There is only one living and true God. He is the creator, redeemer, preserver, and ruler of the universe. God is infinite in holiness and all other perfections. To Him we owe the highest love, reverence, and obedience. Jesus Christ is the "only begotten Son of God." He is God who became man in order that He might, through His sacrificial death on the cross, reconcile lost mankind to the Holy and Righteous God. Salvation is by grace through faith alone without any human works. Salvation involves the redemption of the whole man, and is freely offered to all who accept Jesus Christ as Lord and Savior. A church is made up of believers who have been called together by Christ and who live in a covenant relationship with each other to carry the out the will of God. His will is that these believers should grow in their faith displaying a supernatural love for each other along with a unity in purpose. These same believers should cooperate with God in taking the gospel to people who need to know Jesus as Lord and Savior.